Carpet Cleaning Methods | Compare | Oxy-Dry® Cleaning Ltd. 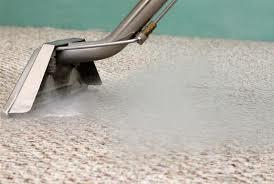 The most common of carpet cleaning methods used in residential carpet cleaning is steam cleaning. Ironically, there is no “steam” used, but rather heated water that is pressure sprayed into the carpet and then extracted with a vacuum wand. Sometimes a powered wand or rotary wand is used, but water is still sprayed in and sucked out. The water is not hot enough or on the carpet long enough to disinfect, although a significant amount of particulates and soil can be removed. The high pressure jet of water (200-500 psi) will drive some soil and contaminants into the backing and underpad of the carpet. 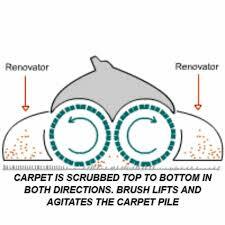 This often results in wicking, rapid resoiling, bacterial growth (evidenced by a sour or musty smell) and deterioration of the carpet backing. These issues are compounded by the fact that very few carpet cleaners will properly vacuum the carpet prior to cleaning. This is a very important step in the cleaning process. Dry times may vary greatly due to weather, carpet type and condition and the technique of the technician. Some carpets will dry in 4-6 hours. Eight to twelve hours is considered normal. However 24-36 hours is not unusual. Carpets may be permanently damaged if they are wet for more than 6 hours. One way to understand the effectiveness of the steam cleaning system is to take your car to the self serve car wash and use the pressure wand but not the brush, and wash your car. Then take a white towel and wipe down your car. Look at the towel and the difference of the area you just wiped. Is it clean? Simply spraying and sucking the dirty water through the carpet fibre will leave a similar film all over the fibre. This is the reason why carpets that are repeatedly steam cleaned will often have a dingy and blotchy appearance. Steam cleaning companies often advertise very low prices, but when they arrive at your home, offer you all the “extras” for a “proper” carpet cleaning. Even if you purchased all the extras, did you get value for your money? Well, what is the typical experience based on what we now know about the steam cleaning method? Waiting a long time for the carpets to dry means you’re waiting a long time to replace your furniture and use your home again. You expected a cheap price, but in the end, paid a lot more because of the deceptive marketing. The carpet doesn’t look clean which is one reason you had it cleaned in the first place. The carpet now has a distasteful odour because it’s so wet or, if you paid for the extra deodorizer, it now has an unpleasant fragrance or perfume. The carpet is probably unhealthier than before you had it cleaned as we’ve learned that steam cleaning promotes bacterial growth. Your family was tripping over hoses and unpleasant weather seeping into the home because the door was left open for the hoses to come through. The stains may have reappeared, but the technician refuses to return to treat them again causing you some anxiety. Or maybe his stain removal products just don’t do the job. You have to reclean your carpets sooner than expected because the last clean didn’t last. Was the experience worth it? I doubt it. Let’s try another method next time. The Counter Rotating Brush system is not new in the carpet cleaning industry. But it’s one of the carpet cleaning methods that is not very popular with the consumer. Basically, the machine is a motor on the end of a handle with two counter rotating brushes about 6-8 inches in diameter and 10-21 inches long. The operator can choose from 3 or 4 brushes of varying stiffness. Some operators will run the machine on the carpet prior to applying cleaning chemical as a sort of prevacuuming step although it is not effective at drawing up deeply imbedded fine soils like a proper vacuum is able to do. The carpet is sprayed with a solution saturating the fibres and as the machine moves back and forth, the brushes comb the fibres drawing up particulates and loose fibres and suspends them in the encapsulating chemical as it dries. Some versions of this system add a damp powder to the high traffic areas for more effective cleaning while others use it be as the primary cleaner. One version of this system uses ground up corn husks impregnated with solvents, detergents and water. It is brushed through the carpet fibres absorbing soil. Carpets normally dry in about an hour and this system is effective at lifting the carpet pile. 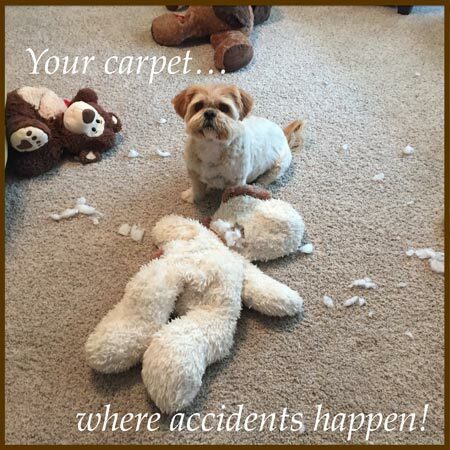 It could irreparably damage your carpet. Some carpets cannot tolerate the aggressive bristles causing damage to the fibres. There is a softer brush available, but it is ineffective at cleaning and is also able to tear at the yarn. The powder used will never be totally removed from the carpet and will continue to track through the house for some time after the cleaning. The system relies on the subsequent vacuuming of the homeowner in the weeks following. In other words, the bulk of the visible soils and stains are held in suspension in the cleaning solution as it dries and encapsulates or crystallizes and awaits the next scheduled vacuuming to take place. 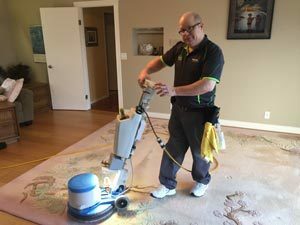 While these machines are impressive at removing loose fibres and hair from the carpet, they do not remove the very fine dust that is embedded in the backing. This system relies on just a brush to clean. Let’s move on to another system! 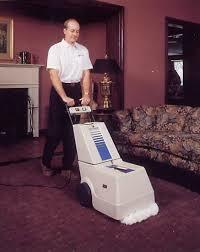 Dry Foam Extraction is the least common system of all the carpet cleaning methods in use today. It is unique in that it applies a water-based foam to the carpet, brushing it in and then immediately extracting it out with a built in vacuum. Although it can produce good results, the cleaning is inconsistent and often uneven and requires constant adjustment while using to achieve acceptable results. Heavily soiled and stained areas are a particular challenge for this system and these areas require additional passes resulting in even longer dry times. Due to its bulky design, it is clumsy and awkward in cramped areas and does not clean to the edges. The average dry time is 6-8 hours, but 12 hours or more is possible. I’m not convinced that this system is going to meet my expectations. Are you? Encapsulation can be done using various types of machines including the CRB (Counter Rotating Brush), rotary scrubbers or planetary machines (multi disc) and is a rebranding of a system called Circular Dry Foam or shampooing. Obviously, this system is more about the solution used to clean than it is about the machine. 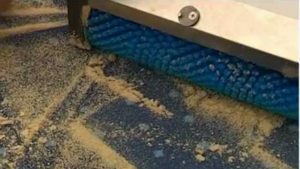 It’s similar to the CRB system in that the solution used is going to encapsulate or crystallize as it dries holding soil in suspension in the carpet for later vacuum removal. The vacuum removal will be done by YOU, the customer. It is a simple system and effective at improving carpet appearance without the problems associated with steam cleaning. 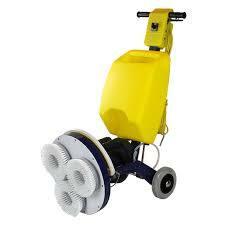 It is primarily used in commercial settings as it is quick, taking little time to clean large areas. The most obvious drawback is that the system does not remove anything from the carpet, depending on the effectiveness of the customer’s vacuuming regime. Often, this process must be supplemented with a better soil removing process at a later date to avoid a buildup of soil in the carpet backing. Well, it seems like this system has me doing the work, too. I might as well rent a machine and do it all myself. It would be cheaper and I’d probably get the same results. Let’s look at one last option! Bonnet cleaning has a long history, but has had many changes and improvements in the last 20 years. Originally, janitors began using buckets and wringers to saturate modified cotton mops under rotary scrubbers to maintain traffic areas in commercial buildings. As the mops or “bonnets” soiled, they would return them to the bucket and wring out the excess soil, then continue on. 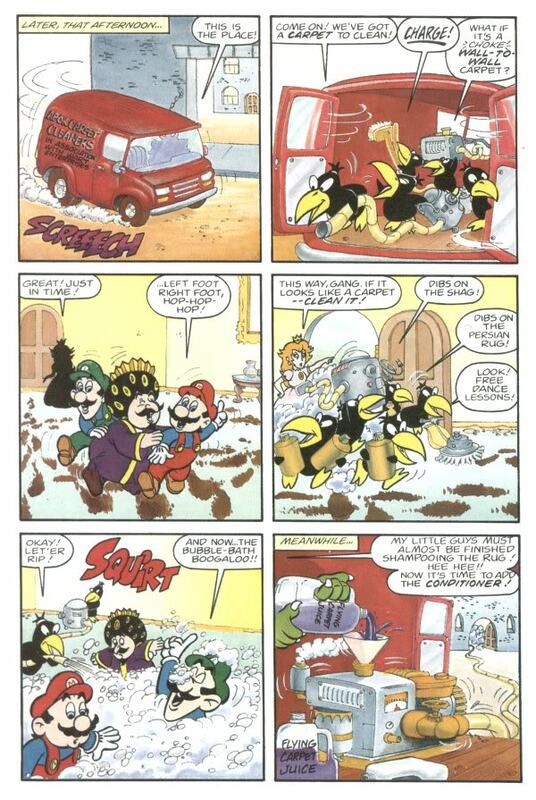 The cleaning solutions were often very poor quality and highly residual. The bonnets were not much better in quality and often caused pile damage and distortion. Over the years this system began to be improved upon with better quality non residual cleaning solutions including encapsulants. Many more types of bonnets and attachments became available to suit every carpet type and techniques were improved for even greater effectiveness. The system began to make great strides as these changes dramatically improved the performance. A little more than 10 years ago, a new version of this system appeared in the market of carpet cleaning methods, and gained credibility. It utilizes an orbital motion and is now recognized as a “stand alone” system in its’ own right. The old adage “it causes pile damage” doesn’t apply any longer as the choice of pads is so diverse, operators can choose the right pad for any carpet with no fear of pile damage. 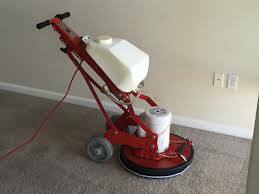 This system is very effective at lifting and restoring matted areas due to its superior scrubbing and pile lifting action. Its ability to transfer soil and stains out of the carpet pile without driving soil deeper into the backing results in a more consistent and longer lasting clean. Recently, the CRI (Carpet and Rug Institute) rated both Bonnet cleaning and Orbital pad cleaning as deep cleaning systems. Carpets normally dry in about an hour and none of the problems associated with other systems apply. Bonnet cleaning has now evolved from its humble beginnings and is a new and improved Soil Extraction Transfer Technology or SETT that utilizes the very effective soil removing process of the absorbent SETT pads. The Oxy-Dry® system uses the new and improved bonnet cleaning method with the Soil Extraction Transfer Technology! However, Robin has advanced this ultra low moisture system even further by adding Oxy-Dry®‘s exclusive Ozone Boost System and MaxVac Extraction. Robin has turned simple bonnet cleaning into an impressive and unbeatable cleaning system! It dries faster, cleans better and lasts longer than any other method! The results are proven in Oxy-Dry®‘s customer reviews! Well, I think we’ve found the system that will give us value for our money and a clean carpet, too!